Updated on 24 November 2016. The flat rate scheme, while still suitable for owner managed businesses and independent retailers is rarely viable for a contractor. This follows an annoucement made in the Autumn 2016 statement. Introduced by the 2002 budget the flat rate scheme was an attempt to simplify VAT accounting for businesses with a smaller turnover. The scheme is currently available to traders with a turnover under £150,000, and popular with one-person companies. As well as making accounting simpler, the scheme often provides a tax advantage. Under the flat rate scheme, VAT liability is calculated as a percentage of VAT inclusive turnover. The percentage is determined by business activity, with typical rates for the provision of services ranging between 11% and 14.5%. With standard VAT accounting, VAT owed to HMRC is the difference between VAT charged and VAT recovered on assets and costs. The percentages for different business activity are intended to approximate the average for each sector. A business using the flat rate scheme is therefore not usually permitted to claim back VAT on expenses. For a contractor providing services, costs are often a relatively low percentage of turnover. Moreover, there is no VAT to reclaim on many of these costs, such as public transport, insurance and postage. VAT recovery is therefore limited to such items as telephone, stationery and professional fees. Because the flat rate scheme has been set at a generous level, a VAT liability can be lower under the flat rate scheme than standard VAT accounting. For instance, a person with income of less £100,000 per annum, would receive £120,000 including VAT. Applying a flat rate of 12%, VAT liability would be £14,400; a profit improvement of £5,600. Even with the highest percentage of 14.5%, the business is still £2,600 better off. The saving illustrated above is typically higher than the amount recovered by standard VAT accounting, in which the business is better off only by the VAT paid on stationery, telephone and the like. A business will also be eligible for a 1% discount on the flat rate percentage in the first year of VAT registration. 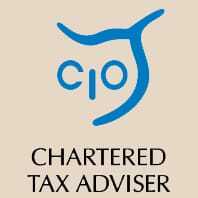 A flat rate scheme user should continue to monitor input VAT to assess the relative merits of participating in the scheme. Were VATable expenses to increase, for instance, due to additional VAT payable on hiring a contractor or commercial office space, then it may be beneficial to leave the scheme. A further pitfall arises where a trader has significant VAT exempt or zero rated income. The percentage is applied to all standard rated, zero rated and exempt turnover, even though no VAT is received for zero rated and exempt supplies. Consequently, a flat rate scheme business carries the risk of being liable to more VAT than it has charged. A common example of VAT exempt income includes rent received on residential property. A typical example of zero rated supplies includes goods sold to non-UK businesses located within the EU. A business which provides both standard and zero rated or exempt supplies could review the merits of forming a separate entity through which the non-standard rated supplies are received. If there is an artificial separation of the business, however, HMRC would cancel any benefit from this arrangement. Therefore, it is only creditable to segregate business activities for this purpose where the activities are sufficiently distinct. As a result, a business which provides services outside the scope of VAT, as well as standard rated service could still benefit from the flat rate scheme. It is not necessary for turnover to exceed the VAT registration threshold for a business to register for VAT. A business can register for VAT with any turnover, even a turnover of nil. The exception applies to businesses providing exempt supplies, such as GPs, charities, certain IFAs and insurance providers. A VAT exempt business cannot charge VAT and cannot reclaim VAT. Where clients are VAT registered, the VAT which they are charged will not be an extra cost. This is because a VAT registered business can recover input VAT. If charging VAT does not increase the net price of its services, then a business is likely to benefit from being VAT registered. Once registered a business can improve profits by claiming back VAT on expenses, or by using the flat rate scheme. On the other hand there is more accounting compliance for a VAT registered business, and greater possibility for penalties resulting for late filing of VAT Returns and late payment of tax. The benefit of being able to reclaim VAT should be weighed against the administrative costs of being a VAT registered business. As the merits of a flat rate scheme registration reduce as turnover goes down, the scheme is less likely to be suitable for businesses with a low income. Simplifies VAT accounting, as it is not necessary to determine the recoverability of VAT on individual expense items. Facilitates swift forecasting of VAT liabilities and therefore improves cash flow management. Typically consumes less time on accounting for VAT. Reduces the possibility for error on a VAT Return. Mitigates the potential costs of a VAT enquiry. A turnover of less than the prevailing registration test is not disclosed to customers. The requirement to monitor turnover to establish whether it has exceed the VAT threshold is prevented. The business avoids inadvertently exceeding the threshold and becoming exposed to penalties for late VAT registration. In addition to VAT saved via the flat rate scheme, registered traders can also recover input VAT in certain circumstances. Pre-registration input VAT can be recovered for all VAT registered businesses including businesses registered under the flat rate scheme. Therefore on the first VAT Return it is possible to include input VAT on assets purchased in the four years prior to the registration date, provided these are still used in the business on the registration date and on services in the six months prior to registration. Flat rate scheme users can recover input VAT on assets with a VAT inclusive value of up to £2,000 per day from the same supplier. As a result, a flat rate scheme user would suffer no extra cost by increasing the amount spent on, say, computer equipment from £1,600 to £2,000 subject to the above. Provided the same supplier is used, any number of goods can be purchased to meet the £2,000 requirement. A VAT prepared using the flat rates scheme follows a different procedure from that prepared under standard accounting. Box six will include VAT inclusive turnover and box one will contain the result of applying the percentage to the total in box six. Usually boxes one, three and five will be the same. However, where there is input VAT to recover, the net amount is included in box seven and VAT amount in box four. As there is currently no flat rate scheme VAT Return template prepared by HMRC, the entries on the VAT return will not correspond to the descriptions. Invoices are not affected by whether a VAT registered business has joined the flat rate scheme. The turnover recorded by a business using the flat rates scheme should include the difference between VAT received from clients and VAT paid to HMRC. This is usually recorded under a separate heading of irrecoverable VAT. The amount of VAT charged that was not recovered. All expenses are shown gross, i.e. inclusive of VAT. Once joined, a member can stay in the scheme until VAT inclusive turnover reaches £230,000. Businesses that have left the scheme in the past twelve months cannot re-join. A business convicted of a VAT offence or that has received a penalty for VAT evasion cannot join the scheme. The flat rate scheme can be used in conjunction with cash accounting. Therefore it is possible to account for VAT in each period based on the date that cash is received rather than the invoice date (which is the usual tax point.) The cash basis provides immediate relief for bad debt, and does not place the business in a position where it is required to front money to HMRC in order to meet its VAT liability. 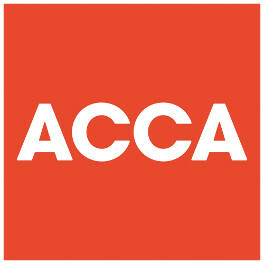 The flat rate scheme can be used in conjunction with annual accounting. In general annual accounting increases the risk of cash shortages, and therefore should only be used where income streams are strongly predictable.